There will be four models, two with 6 cores and 12 threads. 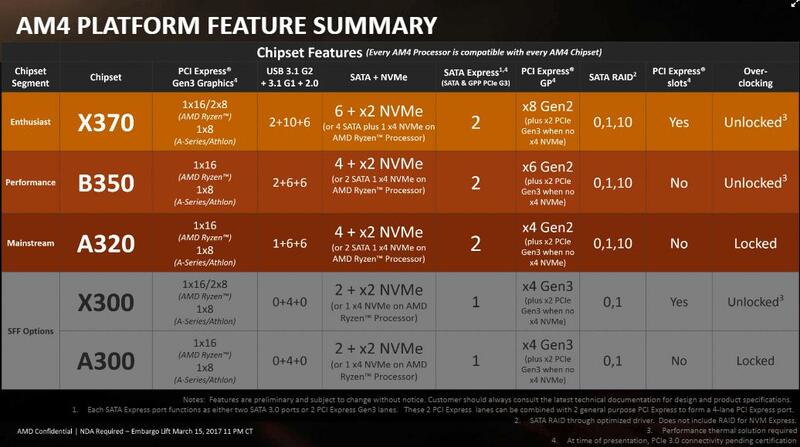 A leak of AMD's next set of processors designed to compete with the Intel i5 has been making the rounds. The Ryzen 5s are expected to run for a modest $169-$249 and should start becoming available on April 11. An official announcement is exected early tomorrow. 1500X: A 10% boost in power over the 1400 (3.5-3.7 GHz) for $20 more. 1600: 6 cores, 12 threads at 3.2-34.GHz, for $219. 1600X: Same setup, but running at 3.6-4.0 GHz. Priced at $249. According to AMD's benchmarking using Cinebench nT, the 1600X showed a 69% performance boost over Intel's Core i5 7600K model, which is only running 4 cores and runs about the same price. All the Ryzen chips can be overclocked, although only motherboards with an AM4 socket and X300, X370, and B350 chipsets will support it. The Ryzen 7s, which start around $329, are already available. AMD's Ryzen 3s are expected to hit sometime in the latter half of this year. wtf happened to the 1400x? oh yeah I need to finish Doom.